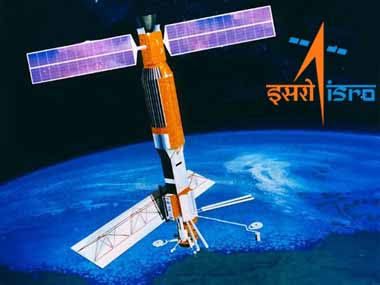 New Delhi : Indian Space Research Organisation (ISRO) has launched Indian Remote Sensing Satellites in the matic series viz. Resourcesat, Cartosat and Radar Imaging Satellite (RISAT-1). The images acquired by these Satellites, in conjunction with field observations, are used for various applications in the area of agriculture development, which includes mapping and monitoring of agricultural crops & its condition, crop acreage estimation & production forecast, crop phenology & growth; site suitability for crops, cropping system analysis, watershed monitoring & management, command area management and drought assessment. These satellites are also used for varied applications in natural resource management, infrastructure planning and disaster management. Space observatory ASTROSAT, recently launched by ISRO carries five payloads to study the stars and galaxies in ultraviolet, optical and X-ray wavelength bands. This information was provided the Union Minister of State (Independent Charge) Development of North-Eastern Region (DoNER), MoS PMO, Personnel, Public Grievances & Pensions, Atomic Energy and Space, Dr Jitendra Singh in a reply to an unstarred question in Lok Sabha today.